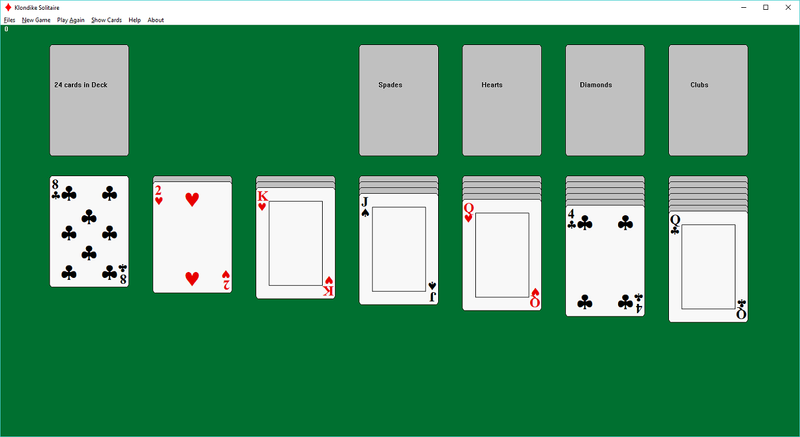 A free, simple version of Solitaire for the PC. and the only luck involved is that some games can't be won because of how the hidden cards are arranged. You can easily go back and forth in your game's history to try different combinations. The program can also play the game automatically in a fast, simple way (wins about 1 in 3 games). You can win about 2 in 3 games when you can see all the cards, and Show Moves lets you play faster. that's why playing with all cards showing is such a challenge. 793 2,047 JDMCox Software <img src="http://www.oldergeeks.com/downloads/gallery/thumbs/KlondikeSolitaire1_th.png"border="0"> Apr 14, 2018 - 12:47 1.0 84KB EXE , out of 8 Votes.